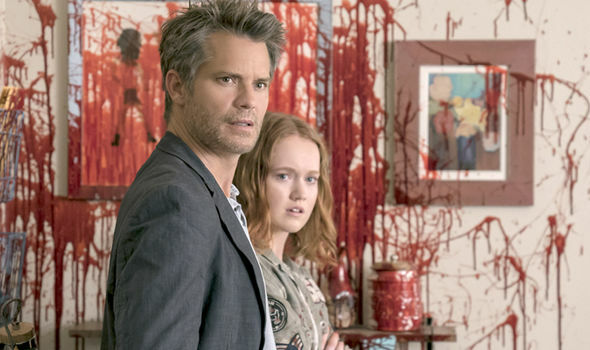 Santa Clarita Diet is a Netflix original series that is completely unlike anything out there before. After watching the first with my old flatmate, we've both been excitedly counting down the days until they released the second series. 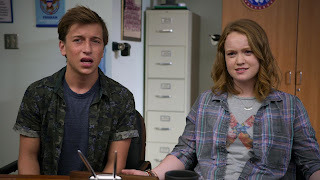 When I first saw the trailer for this show last year, I was excited to see Drew Barrymore in a new project but also thought it looked absolutely crap. I never intended to watch more than the first few minutes but it's oddly addictive and enjoyable. Once I started watching, I couldn't stop and I binge watched both the first and the second series within days. The plot is utterly ridiculous. A *no spoiler* causes Drew's character to die and come back to life as a decaying body that relies on human bodies as a food to survive. I was actually pleasantly surprised at how the story progressed in this second series. The reasoning behind the unusual condition is revealed and we learn more about the crazy history of it. It actually reminds me in a way of a spoof of the latest Tomb Raider. The research and old books are oddly similar. I've oddly fallen in love with the whole show. Instead of simply becoming something I feel forced to watch because of Drew, I've ended up loving seeing it progress and develop. I think the 20 minute episode length is perfect and the silly humour makes it a really easy and relaxed viewing. If you're in need of a break from life, it's the perfect way to turn off the world. With new characters joining the cast for one episode at a time, it's a really interesting mixture of cast interactions. 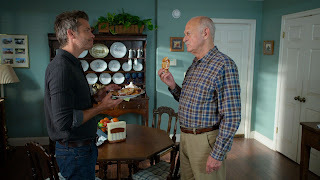 But of course, the relationship Abby (the daughter) and Eric (the neighbour) is what keeps me going. The will they, won't they relationship is intriguing and the odd and weird duo make it work. I love it! Can't wait for series 3! 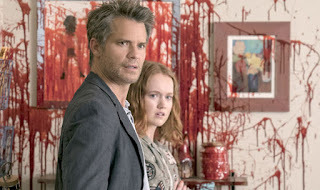 Have you ever watched Santa Clarita Diet? What did you think? I'm Back and an Update!